Paychecks are going out on time, the checks are clearing and your customers seem happy. While these accomplishments are nothing to scoff at, small business owners who rest on these laurels may underestimate the importance of financial wellness on a broader level. 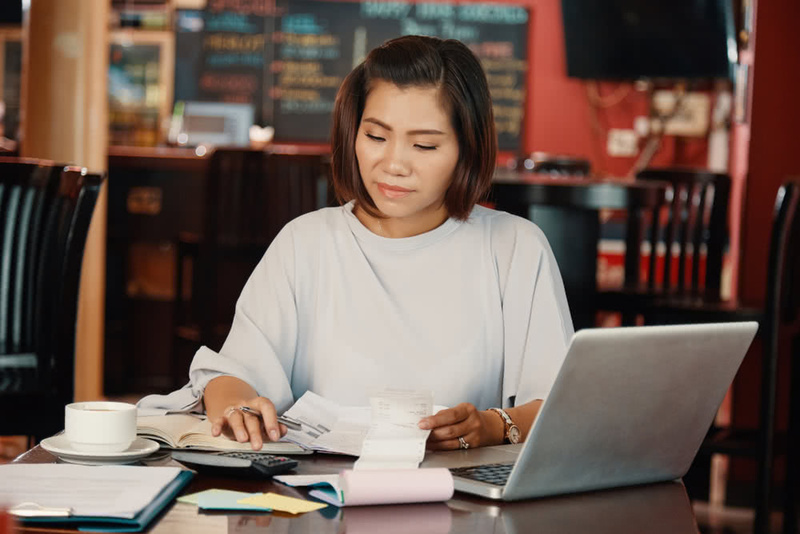 With January being National Financial Wellness Month, it’s a great time to take stock of your business’s financial health to find out whether you’re thriving or flagging. Here are five areas every business owner should explore. The number one question business owners should ask is whether they’re profitable. As Investopedia notes, “…likely the best measurement of a company’s health is the level of its profitability.” The simplest way to determine your profits is by looking at total revenues minus expenses and liabilities. When the number is positive, you’re profitable. If you’re in the negative, that could signal trouble. However, profitability is actually more nuanced. Dig deeper by calculating your profit ratio, by dividing your net profits by net sales. Profit ratio is a quick way to understand how much profit you’re generating on each dollar of revenue and whether your activities are profitable on a quarterly and annual basis. Cash flow looks at the funds moving in and out of your business. A cash flow positive situation means that you’re able to cover your expenses. When your business is in a cash flow negative state, the demands on your business exceed the resources you have on hand. It’s a constant balancing act, and business owners who find themselves struggling can take a closer look at their options. The good news is that your cash flow isn’t just related to sales. Other factors that play a role in keeping your cash flow positive include short-term cash flow loans and capital that’s been invested in your business. How much you’re spending every day to operate your business — from paying staff to buying inventory — impacts the long-term health of your business. Periodically, it’s useful to conduct a comparative expenses analysis. Intuit defines this analysis as “a side-by-side percentage comparison of two or more years of data.” Running these numbers can help you see where costs are increasing and whether it’s time to look for ways to reduce expenses — or whether your costs are holding steady over time. Many accounting software packages offer the ability to run this calculation. Once you have the numbers, look for significant percentage changes to identify areas for further scrutiny. Certain businesses need inventory on hand to meet demand. Looking at unsold inventory — and factors like how many days you have certain items in stock on average before they sell — can help you identify profitable products and changes to make in your offerings. If you determine that you’re constantly underselling certain items, technology may help. An inventory management system can provide business owners with insight on how to manage small business inventory effectively. Relationships with customers are the heartbeat of your business. Look at these relationships by the numbers to give you a better understanding of how you’re performing. One area to consider is average sales by customer. Divide total sales by the number of customers. Is that metric where it needs to be? Say, for example, that you have 50 customers and $100,000 per year in revenue. Each customer is worth an average of $2,000 annually. If you want those numbers to be higher, it may be time to focus on strategies such as account-based management to increase sales volume with specific customers. Another area to evaluate is your profitability by customer segment. Are certain customers more valuable than others, in a hard dollars and profit sense, to your business? Look for commonalities among them. If so, you may want to invest more time in them to continue growing your business. The start of a new year is a great time to revisit the importance of financial wellness and see how your business is doing. Finding out you’re in a great place sets you up for a profitable growth year ahead, and identifying issues now lets you get on track so you can achieve your 2019 goals. Set aside time now to explore your financial performance.